A little unfashionable in the present day, the Art of Rubens is one of the great joys of the Visual World, and includes masterpieces in virtually all genres of painting, drawing and printmaking. Not just one of the most prolific of all artists, but a Master of Colour, Line, Mood and Drama, but also of SCALE. No work or idea was on too grand a scale for Rubens, who was able to produce colossal Mural and Ceiling decorations as easily as he produced touching, intimate studies of family life, and, especially, of his children. Truly a Painter full of surprises, and, arguably, the Greatest Baroque Artist of them all. 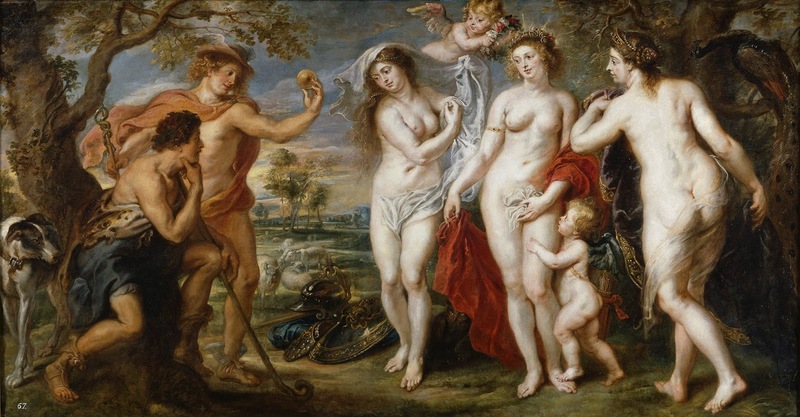 There is a major exhibition - Rubens and his Legacy - at the Royal Academy until 10 April. Click here to book tickets online or phone 01606 41597. And yes, the debate continues to rage - who influenced who, and who, ultimately, will time prove to be the greater artist. 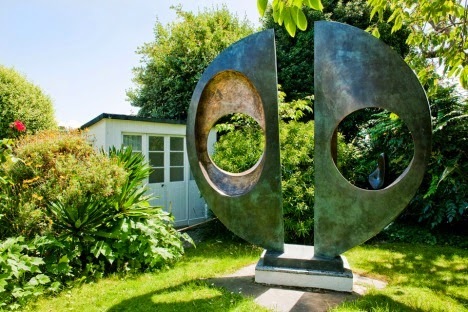 Particularly in the light of the opening of Hepworth Wakefield, surely one of Britain's best Museums, and its proximity to Henry Moore's extensive displays of work at the nearby Yorkshire Sculpture Park. This lecture looks at both sculptors in the context of dubious British Modernism, and examines their greater or lesser contemporaries on the world stage. And, of course, we look at how its all turned out, what with the mushrooming popularity of Anthony Caro, Antony Gormley, YBAs and all. There was a time when Rembrandt was untouchable as the greatest of the Dutch Golden Age artists, though Frans Hals, Miendart Hobbema, and even Jan Steen would have put up a stiff fight for the crown. 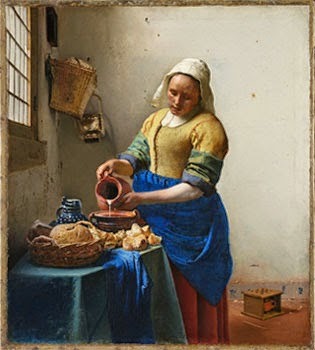 Now, however, its a very different story - Jan Vermeer has eclipsed them all; a rise which seems limitless and unstoppable. Looking at the surprisingly few paintings which make up the artist's oeuvre, we will reveal the astonishing effects of light he was able to achieve - unique works made using the same raw materials as all the others, but transformed by an exceptional genius of seeing into something magical (and probably unrepeatable, if all the stumbling imitations and fakes are any indication). 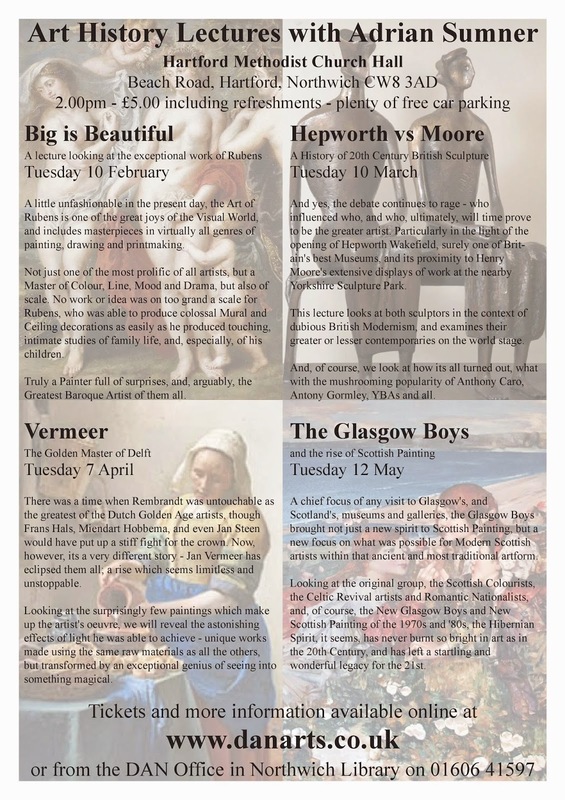 A chief focus of any visit to Glasgow's, and Scotland's, museums and galleries, the Glasgow Boys brought not just a new spirit to Scottish Painting, but a new focus on what was possible for Modern Scottish artists within that ancient and most traditional artform. Looking at the original group, the Scottish Colourists, the Celtic Revival artists and Romantic Nationalists, and, of course, the New Glasgow Boys and New Scottish Painting of the 1970s and '80s, the Hibernian Spirit, it seems, has never burnt so bright in art as in the 20th Century, and has left a startling and wonderful legacy for the 21st. 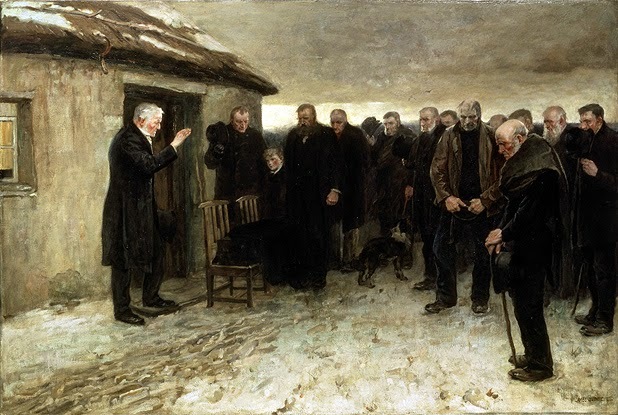 Lavery and The Glasgow Boys book. Click here to download this poster or the flyer here.